Get an inside look behind WeChat in our new podcast series, “We Chat About WeChat.” Through the series, you’ll be able to learn more about the app creators and the product design philosophy that makes WeChat one of the world’s most used social communications platforms. In our first podcast, we talk with Stephen Wang, who manages the International Operations team and Data Analytics team for WeChat’s Core Product Group. Stephen was born and grew up in the United States and later moved to China in 2005. Prior to joining WeChat in 2013, Stephen was an entrepreneur of multiple Internet companies, most notably the co-founder and former head of popular film web site Rotten Tomatoes. Learn how he grew to love creating Internet products and why he decided to join the WeChat team after over a decade in the tech startup space. Be sure to stay tuned Thursday for our next podcast where we interview our very own Dan Grover, product manager of WeChat’s Mac app. A security flaw, caused by an external malware, was recently discovered affecting iOS users only on WeChat version 6.2.5. This flaw has been repaired and will not affect users who install or upgrade WeChat version 6.2.6 or greater, currently available on the iOS App Store. Here are some important points about the situation. Chatterbox Celebrates its 1st Birthday! 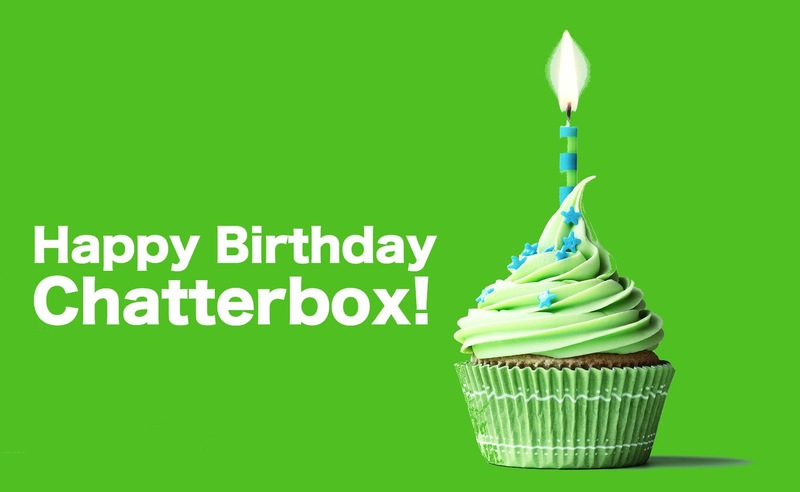 It’s hard to believe it’s been one year since we launched Chatterbox – WeChat’s official global blog with our first blog post. A lot has happened around the world in the past year and a lot has also happened in the world of WeChat. We’ve announced new features and versions, designed a ton of crazy awesome stickers, launched in new countries, partnered with amazing brands and non-profits, and created innovative online to offline experiences – all while having fun along the way! At WeChat, our users’ privacy is top of mind in all aspects of product development. 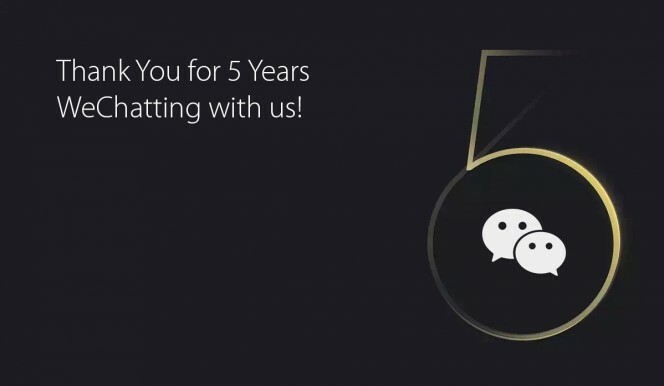 For our over 468M monthly active users, it is important to us they have the ability to control their own privacy and information shared when communicating on WeChat. This is why we decided not to include message read confirmations because we believe the exact time you read a message in WeChat is your business and no one else’s – unless you make that decision yourself. Users can chat freely in WeChat knowing the other party will not see any timestamp or receive information about your messaging behavior other than the content of the conversation you choose to share. Keeping your mobile number private – While WeChat enables you to make free voice and video calls, we do not display your mobile phone number for others to see. After all, you wouldn’t give out your number to just anyone would you? Easily control who and when people can contact you – In the app, users can simply tap “Me”-> “Settings” -> “Privacy” to switch on “Friend Confirmation.” This feature requires other users to send an initial friend request before being able to chat with the other user. The Privacy tab also includes the ability to turn on or off the “Find Me” option, allowing the user to determine if he or she would like to be found by WeChat ID or mobile number. The WeChat offices have been buzzing for months with excitement. And no, it’s not the World Cup or J.K. Rowling’s new Harry Potter story (although we’ve talked our fair share about those too). It’s the re-launch of Chatterbox, now WeChat’s global blog! Chatterbox will be the go-to destination for everything new, fun and exciting about WeChat worldwide. From the latest product updates and exclusive breaking news to awesome WeChat activities in your local markets, we are thrilled to offer it all first on Chatterbox. Not to mention we’ll post write-ups, photos and videos for your every day life. Our core mission is simple, offer “Chat Worthy” content you’ll enjoy. So get ready for an inside look into the world of WeChat and have fun exploring.